DEADLINE TO SIGN UP IS WEDNESDAY, FEB, 20th 2019. GAME-TIMES TO BE RELEASED BY THURSDAY, FEB 21st 2019. ISPS Staff will be available to discuss the event and answer questions (No Formal Meeting Necessary). Fees: The entry fee for all classifications is $350.00. UNIFORM JERSEY RULE IN NOT IN EFFECT, BUT THERE WILL BE A PRIZE FOR THE TEAM WITH THE MOST RED! BALLS WILL BE ON SALE FOR $7 EACH OR $65 PER DOZEN. IMPORTANT: DEADLINE TO SIGN UP IS WEDNESDAY, FEB 20TH AT 9 PM EST. Starting a Men's & CoED Free-Agent Team for this event. Please support this event. 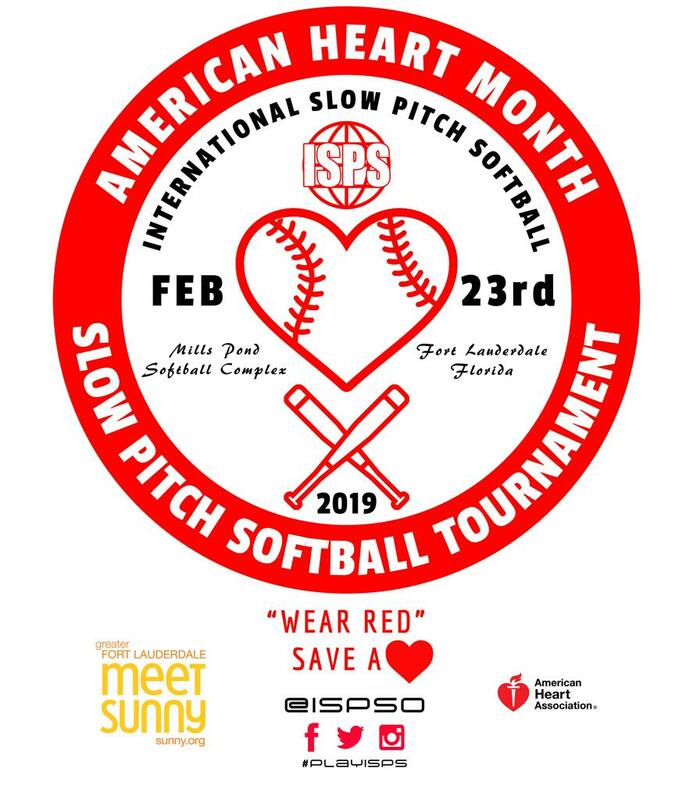 Proceeds will benefit our local American Heart Association Florida Chapter. Add North Ridge Electric to bronze.